Perrett will act as touch judge for a game this weekend. AMY PERRETT, WIDELY regarded as Australia’s top female referee, is set to make history when she becomes the first-ever woman to act as a match official for a Super Rugby game this weekend. Perrett has been appointed as touch judge for the Rebels clash the Stormers in Melbourne. The move follows a recent announcement that Perrett would be one of Australia’s two officiating representatives at the 2016 Olympic Games. “I am really proud to be given this honour this weekend and I certainly hope this opens the door for more women to officiate the top level across Rugby. ARU Head of Referees Scott Young: “We are immensely proud of Amy’s efforts to make her Super Rugby debut this weekend. The Pro-12 had its first female match official in March this year when Ireland’s Helen O’Reilly ran the line for Munster’s 47-0 win over Zebre. 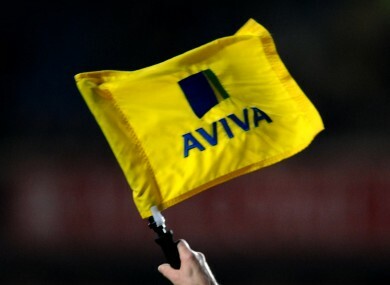 Email “Amy Perrett to make history as Super Rugby's first-ever female match official”. Feedback on “Amy Perrett to make history as Super Rugby's first-ever female match official”.